Vegetarian Society approved. Kosher - KLBD. Halal - HFA approved. 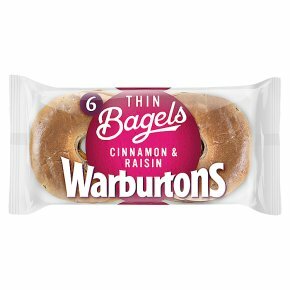 "Thin Bagels. There's a clue in the name!" Why not try... A delicious toasted Thin Bagel with a generous dollop of cream cheese, a handful of mixed berries and some fresh mint leaves, for a sweet treat! Delicious Topped, Toasted or Filled. When toasting toast to a light golden brown.